Thank you to the parents who were able to help us with our Christingle making this morning- it was great to see you so involved with all the children! Holly Class deserve a well earned break so we wish you all a very Merry Christmas and a Happy New Year. Eat, play games and be merry! Please remember a carrier bag tomorrow (Wednesday) for everything we have made to go home in. Also, don't forget BOARD games and card games are welcome on Thursday morning to play with after making Christingles. If anyone wants to bring any snacks in to share for the afternoon, please do! Please remember that we are a nut free school. All PE kits should be home by the end of Wednesday- if not, please come in to check our Lost Property on Thursday (we have quite a pile of unclaimed uniform and kit!). Holly Class had a brilliant afternoon full of games! It was such a shame home time came as we could have kept playing. We were very lucky to be able to watch the Nativity this morning- it was brilliant! Well done Cherry class and Oak class! Read, laugh and choose your favourite for your cracker! Please remember to send in an orange on Thursday morning as that is when we will be making our Christingles. If you are able to stay for Carols Around the Tree at 9 until 10, you are very welcome to come into class afterwards to help make the Christingles with the children. Don't forget you are invited to join in the Christingle service in the hall at 2.30. We look forward to seeing you! We can highly recommend this year's pantomime- brilliant! As part of our Literacy work, we have written fantastic letters to Santa which we have posted to him in our local post box. On the way, Evie thought it would be great to sing Christmas songs there and back. Everyone together- Jingle bells, jingle bells...! A HUGE thank you to all the parents who were able to come this afternoon- it really was great to see so many of you joining in the drawing and animation activities. As a few parents told me, it made them realise how hard it is and how you need to persevere to get it right. I do hope everyone really likes their calendars once they are put together (this will be a BIG task it itself- you will see why!) and be proud to say that you helped. If there are any parents/carers who could not make it but would like a photo and some paper to do the drawings for the calendar, please see me either before or after school this week. The class book of your drawings and photos will hopefully be put together next week then you are free to come in to take a look after school (I will let the children know when it is ready). It will also be put out at the next parents' evening with all the other class books for you to have a look at. Your animations will be shared with the class in the morning! Thank you for all the messages of concern about my poor back from parents today! I do appreciate it. It was lovely to see the children again today, especially when they came charging down the corridor in a huge group with smiles on their faces telling me how much they had missed me and swamping me in enormous hugs!! A special moment. Please can you return your slip as soon as possible to let us know if you will be taking part in our parent afternoon next Wednesday 5th December at 2pm when we will be showcasing our animation work and teaching parents to animate! It is also a chance for you to look at other work we have been doing this term. I do have some spare copies of handouts about Year 3 and Year 4 writing expectations that I spoke about during our Parent Pop-in, if anyone would like them. Thank you to the parents who were able to come, I hope that you found it informative. I do hope that lots of you will be able to come along to class on Wednesday at 9am so that I can share with you some of the expectations for your child in writing. If you are unable to attend but would like the hand outs I will be sharing, please see me after school or email the office and I will pop them into your child's book bag. Thank you. Thank you once again for all your support for this worthy charity. The after school bring and buy sale was brilliant (with some beautiful cakes for sale) and it was also lovely to see the children dressed in something that they had borrowed or recycled! Holly Class would like to say a HUGE thank you to all the parents who organised and ran our disco on really- we really appreciate all your hard work! Keep practising and practising those times tables at home! 5-10 minutes each day will make all the difference. Also, keep working away on those inventions- the early sketches of those children who gave their homework in today are looking promising! This week, we have been predicting which circuits will work and why then investigating using the equipment to find out if we were correct. The use of Scientific language is definitely improving as we learn the names of the components and what makes a complete circuit. Next week is all about switches! We love Maths as there are so many links and cheats such as when you know one thing, you know another. One example is multiplication. We have looked at how multiplication is just the same number added over and over so to make it quicker, we learn our times tables. We are also looking at how division is the inverse of multiplication and how we can use times tables knowledge to work calculations out. Our photos show how we have been working practically just using pasta to work out the links. Holly Class have spent this week planning and writing reports about Remembrance Day and there have been some great final pieces. 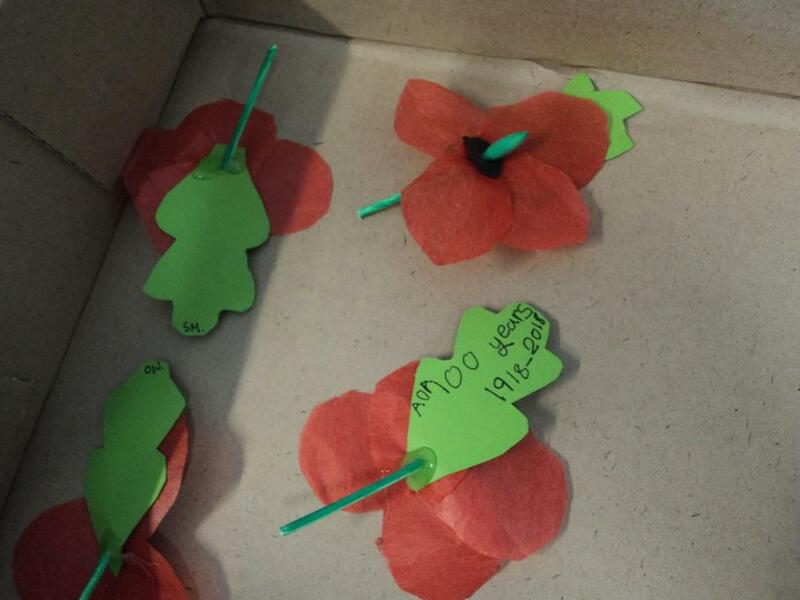 We have also finished our own poppies to wear on Sunday. They were very fiddly to make but look beautiful. Today, we had a range of electrical components out on the tables to investigate as Mrs Upsall challenged us to 'make the bulb light'. After much conversation and trying different things, Mrs Upsall shared with us the secrets behind a complete circuit and how one is needed for an electrical component such as a bulb, buzzer or motor to work. The buzzers were very noisy! This week, we have be finding out more about Remembrance Day and the how it has been 100 years since the end of World War One. As well as planning and writing reports, we have been making our own poppies to bring home on Friday so that we can wear them with pride and remember the soldiers on Sunday at 11 o'clock. 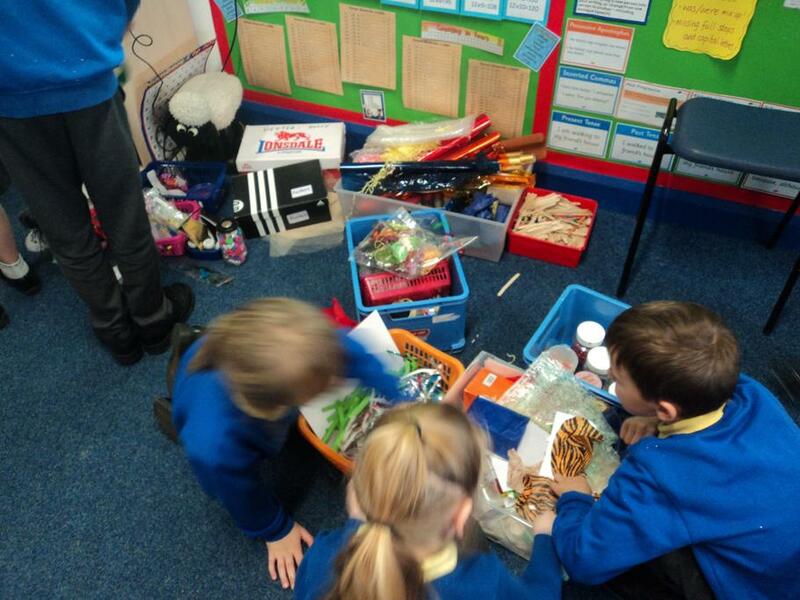 We have had great fun with our making again this week! 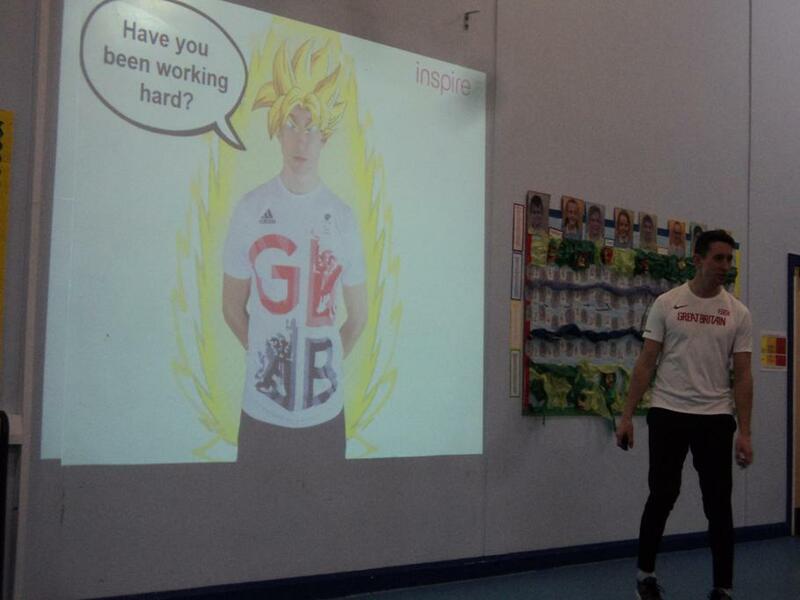 Paralympian Jonathan came in to visit again and talked to use about our mental well being. He talked about how to relax and calm our minds down which was really interesting and useful. Preparing for our Next Animation! Today we have designed our characters and scenery with a partner for our next piece of animation. Everyone is really excited- it is great fun. We are trying to think about how we can use a wider range of materials in our making this time as it will be a Christmas special! Children may be asking you to collect bits at pieces at home to bring in too. Safety/dangers of electricity- have a look at some of these websites. I do hope that everyone has had a good break and is ready for a very long but fun-packed term that will lead us up to Christmas! We are continuing with our Aardman topic, our work leading up to the afternoon when parents have been invited to join us (5th December). Please can you send in the slips so we know who is coming and make arrangements for the necessary space (we won't all fit in the classroom!). Please can you make sure your child has a warm coat in school every day. Today there were many children with either no coat or just a thin kagool. Children are outside for 15 minutes at break time and 25 minutes at lunch time- it is a long time to be cold! Thank you.